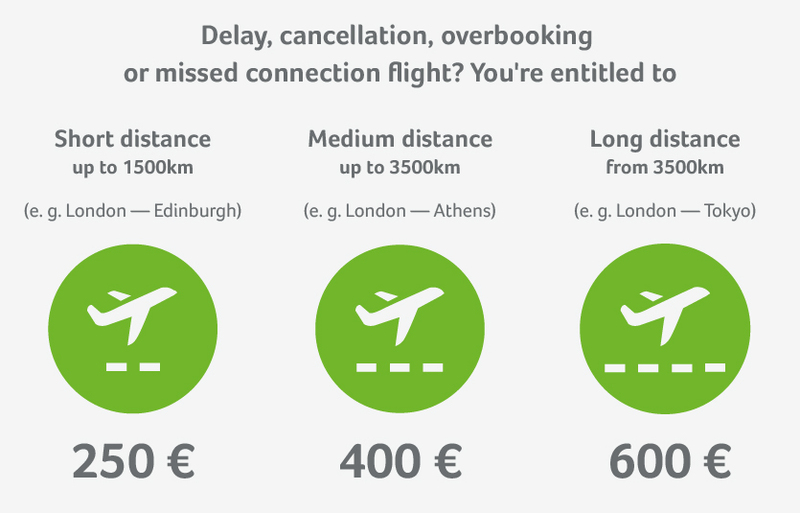 For flight delays of more than 3 hours, or cancellations without prior notice of at least 14 days, and or denied boarding due to overbooking on a British Airways flight, Flightright can help you demand your passenger rights to a compensation of up to €600 under the EU regulation 261/2004. What are my rights when a British Airways flight is delayed? What should I do when delayed with British Airways? Delayed more than 5 hours? A delay of over five hours gives you the right to cancel your flight with the airline. The airline is obliged to either reimburse you for the costs or to offer alternative transportation. Departure not until the next day? If the departure is postponed to the following day the airline has to get you accommodation in a hotel and cover the costs of transport to and from the hotel and the airport. Contact the airline and ask them to provide this commitment in writing. Our expertise in this industry give us the necessary confidence to promise a completely free of charge servive should your case prove to be unsuccessful. British Airways’ main hub is stationed near London Heathrow airport and the airline connects 183 airports in total. They chartered 42.1 million customers in 2016 and is one of a small number of airlines that flies to every continent. Although certainly not the worst offender, British Airways could improve on their punctuality. They clocked a total of 845,000 minutes of delays in 2016, as well cancelling a slightly above average number of flights when compared to their competitors. British Airways sets a good example in paying out compensation when you enforce your rights with Flightright. They are, in general, cooperative and responsive, although they have a tendency to be a bit slower than average when it comes to actually issuing the compensation. You can check-in online or with the British Airways app from 24 hours before the flight departure. It is strongly recommended that you make use of one of these options to avoid running the risk of waiting time to check-in at the airport. More information about British Airways here.